A version of the following article was released in the Volume II Issue II edition of the KnowMag. An online version of the magazine can be found here. Also check out NorwoodShop.ca, Hansen Leather Goods, Norwood Tumblr, Norwood Instagram, Benedict Moyer, Norm Rockwell. If you were to take a step out of the door at 2401-11th Avenue in Regina, Saskatchewan, turned left to face west, and walked until you reached a rise or fall in elevation greater than a metre, you would likely arrive in the Rocky Mountains. If, instead, you were to walk directly north on Smith Street, the cross-street of 2401-11th Avenue, you would end up walking for three straight days until you reached a heavily forested area with naturally growing trees, as opposed to the wind-breaking hand-planted farm trees in the south. It is in the flat and the barren where real strength is gained. Extreme meteorological conditions can (and will) lift and drop a human being’s spirit daily. When you come from a place where you must walk a minimum of several days to reach the luxuries of natural shelter provided by trees or elevation, you will become innovative and resourceful in many ways. You will because you have no choice. Some born into these conditions take to building structures, some learn an instrument, some read books. Some collect antiques and vintage trinkets to fill the voids. Others sit in basements drilling holes through pressed-steel handsaws to make display cases. The latter is Norwood. A softly-lit amalgam of pine, fir, and birch that brings back warm memories of your grandparents’ basement, or the family cottage at the lake when the leaves have fallen off the trees. When Noel Wendt, proprietor of the staple Canadian skateshop the Tiki Room, asked me to help him brainstorm names for the new shop he was opening, I was living in Montreal. I hadn’t seen the space and hadn’t been back to Saskatchewan in nearly a year. I didn’t understand his vision. So my list included generic gems such as The Cabin, The Workshop, as well as moronic suggestions such as Grime and Punishment, The Brothel, or Blown Hips (it has recently been given the nickname the Gnarbar, or Gnarburator by the few workers that spend too much time there). For some reason, none of my brilliant suggestions caught wind. Instead, just weeks before the shop opened, someone noticed a rusted iron cap with the diameter of a pasture fence-post inlayed in the concrete at the corner of Smith and 11th. The cap read ‘Norwood’, an old Canadian iron foundry that buried their caps in the sidewalks of cities across the prairies. The name fit the aesthetic. 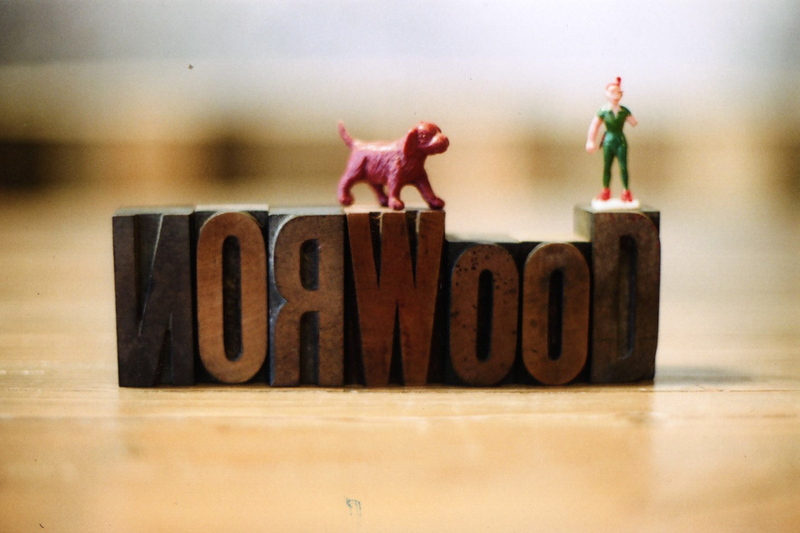 Norwood was born. The 1000-square-foot storefront is filled with household and industrial items from the days of old, when purchasing something meant a life-long commitment. When objects were built well, with proper materials, and purchased only upon necessity. Norwood carries brands that reflect this mentality. Simplicity, quality craftsmanship, responsibility. Pendleton pillows and blankets sit upon a modified bakery rack against the building’s eastern-most column. Belts, lanyards, and accessories from local leather-maker, Hansen Leather Goods, adorn a vintage hand dolly. Ray Ban sunglasses boast their attractiveness from the previously mentioned glass-case made up of six rusty handsaws. Red Wing Shoes stand proudly under the spotlight on a massive chopping block. Mens coats hang from a coat rack salvaged from a church foyer, and another rack created and designed in-shop, made up of one-inch iron pipes threaded and fitted for the space. Norse Projects hats and sweaters rest comfortably on wooden milk crates and wooden toboggans next to the door. The Levi’s denim decorates the west wall, hanging from a John Deere truss taken from a torn down barn at a sheep farm in Cupar, Saskatchewan. The barn was an acquisition specifically for the creation of the shop–an ad was posted on the internet that Wendt would pay $50 if he could tear down a barn and keep the lumber–the weathered planks from the prairie structure are the appropriate backdrop to the hand-drafted map of Regina from 1957 that hangs as a centrepiece to the entire shop. The barn was torn down in the middle of February in the unforgiving winters of Saskatchewan. The pine floor was milled in Love, Saskatchewan, and the counter top is made of reclaimed fir beams of an old swimming pool, both made and installed with the DIY-values upon which Norwood was founded. The creative balance between product and prop makes for a relaxing visit, no matter the mood you’re in, the time of day, or the type of weather you may see out the North and East windows. An honest, agrarian cabin in the core of a prairie city.